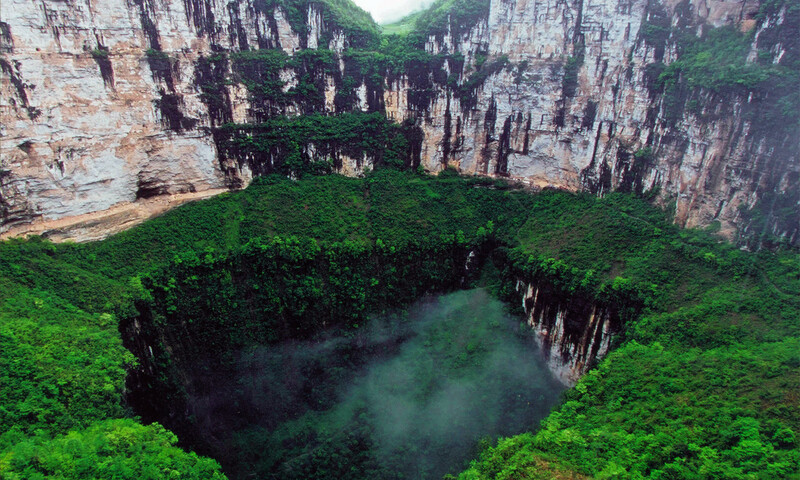 It is located in Wulong County, a three hour drive from Chongqing. 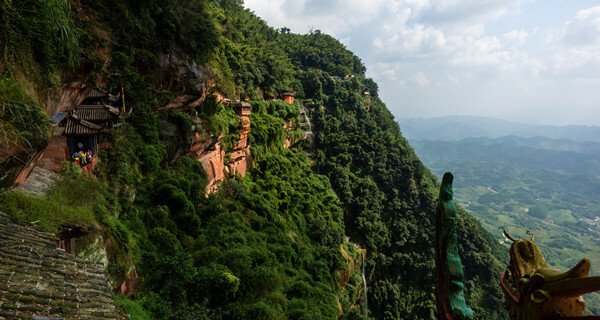 Known as the “Oriental Switzerland” it’s famous for its vast forests, distinguished peaks, grasslands and snow, which is rarely seen in Chongqing. With an annual average temperature of 20 ℃, it is a good summer retreat. In 1999 this area was granted National Forest Park status. Fairy Mountain is a karst landform region with several important scenic spots. The most famous is Three Natural Bridges Geopark. In the valley below is “Tianfu Posthouse”, the only outdoor movie set for the “Curse of Golden Flower”. 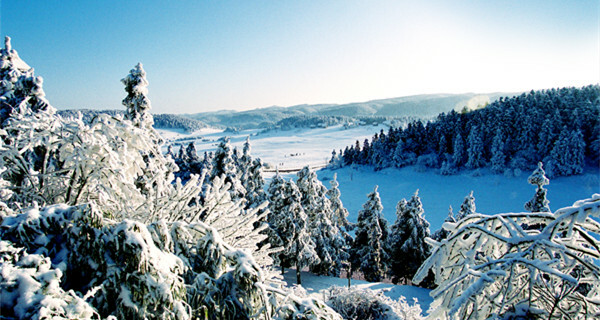 Another spot is “the Southern Grassland”, which is the largest mountain grassland in Chongqing with beautiful scenery. Grassland hosts many activities like music festivals and a kite flying competition. “Impression of Wulong” is a live musical extravaganza performed in the valley show- casing the local history and culture of the boat trackers and hotpot of Chongqing and Sichuan. Prices range from ￥238 to ￥880 but can be lower if booked online. There’s also horse-riding, skiing and a kart track. 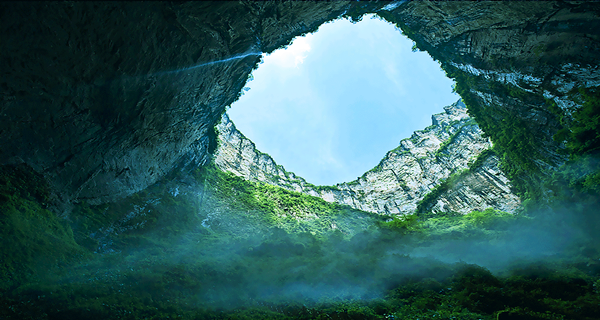 Wulong Tiankeng Difeng Nature Reserve, located over Yangshui River Grand Canyon in Wulong County, is noted for cluster of giant dolines, natural bridges, shafts and waterfall. It is of large-scale and easy to access, and it is the biggest national geologic park in Chongqing, and was designated as a most potential nominee by the nation to be candidate for declaring world geologic park. This park in whole is an integrated Karst landform, which consisting the world’s greatest nature bridge cluster, the second largest giant doline cluster, as well as spectacular shafts. Endowed with so many wonders by nature, it is not only a tourist attraction, but also an ideal place for scientific study and to witness geological evolution.